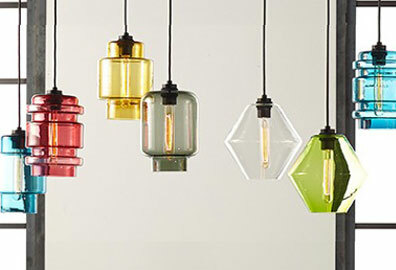 Made, not manufactured—that's the mantra behind Niche Modern, who's signature is a collection stunning glass pendants that showcase modern simplicity and good design at its finest—and each is made by hand in New York. We're proud to exclusively introduce the Crystalline Series, Niche Modern's latest collection with 6 fresh colors and 4 stunning new silhouettes. Informed by the concept of hidden riches locked inside a treasure chest, the diamonded silhouette of the Niche Modern Trove Pendant is an illuminated gem. 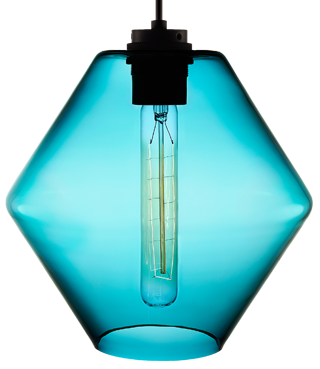 Handblown in New York and paired with a tubular Edison-style bulb, Trove is part of the new Crystalline Collection, an exclusive Lumens line that embraces playful, fresh colors and bold defined angles while never straying from Niche Modern's signature design principles of simplicity and elegance. Complementary forms and colors make the collection an ideal consideration for multiples installations. Niche Modern began with a sketch on a napkin—is that where many designs start, even today? It's true! Initially, Niche began with a single sketch on a napkin. 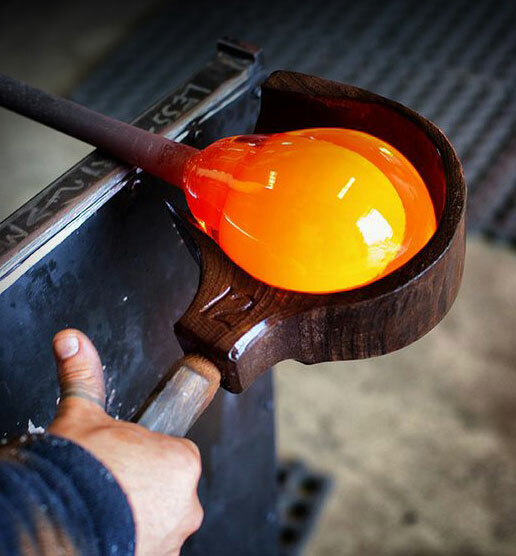 It was an idea that just popped into my head while talking with a glass blower that I'd met on the streets of Soho in NYC, and that's really often how ideas come to fruition. I'll have an idea and will draw onto a piece of paper. What's important to you in design? I like things to be as clean and simple as possible; to eliminate any excess details or elements that aren't absolutely critical to the design. It's a difficult thing to do, but I find that not over-thinking allows for the core essence of the design to come through. What makes the Crystalline Series different for Niche? We've really pushed the envelope with a lot of new shapes and bright new colors. This line is tricky to make because there are such hard angles to execute, and with an already difficult medium. Glass sometimes is not so cooperative; it has a mind of its own so our job as a design and manufacturing company is to sometimes coerce or force the glass to do things it's not willing to do. When it works it's just another way for the series to stand out from the rest. The new colors are stunning. How do you choose them? I had a very restrictive color palette when we first started our company. But for this launch, we really wanted to go pretty far with color and do things that maybe perhaps were a little bit out of my comfort zone. We started with about 150 colors and narrowed it down to a few new ones. There are still quite a few colors we want to test, but for the Crystalline Series we settled on some of our standard colors that are very popular, but also adding others that are very bold and experimental for us. What goes into finding and creating new shapes like these? A lot of the time I'll start off with a particular bulb in mind. Once we have an idea of what bulb we're using we determine the size of the piece and incorporate whatever happens to be inspiring to me at the moment. For the Crystalline Series I was very interested in geometric equations and mathematical diagrams. I especially liked the idea that all the pendants work great on their own but also they really work well together. Do you have a new favorite? Of all the new shapes that I've designed, my favorites are the Axia and Delinea. I'm inspired by the idea of crystal structures and their different layers and angles which mesh together in perfect harmony. What design “mistakes” make you cringe? A design mistake that makes me cringe is when the designer doesn't know when to stop. I think that's always the biggest challenge. You have a rough idea, you know where you want to go, and sometimes you keep adding elements to make it more interesting and in fact it just gets more complicated and less interesting. What does your own home look like? 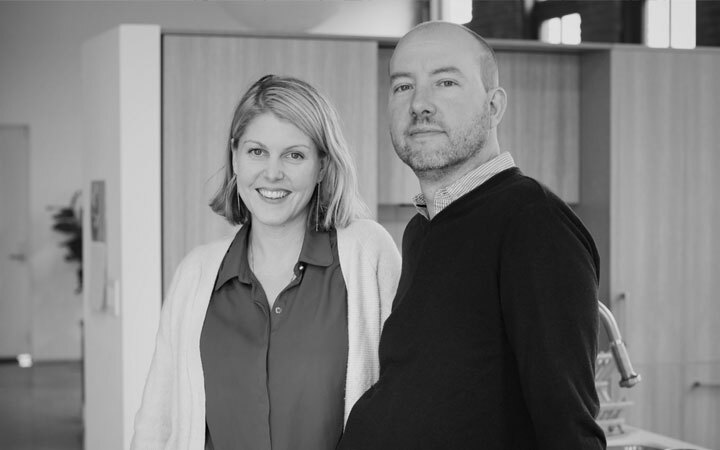 We were lucky enough to find a gorgeous brick loft building that was built in the 1860's in Beacon, NY. It started out as a boarded up building with dirt floors, but the bones and shell of the building were absolutely pristine. We've put a lot of effort into renovating it, and it is a showcase of our own work, lighting fixtures, and tabletop objects. The most special aspect of the building is the amount of natural daylight that floods in through the extra-large windows all across the space. It's always a joy for us to come home.